fall in ...naiLove! : Colour Alike: International Shipping. [ENG] I've said it many times before: I'm so proud that we have such a nailpolish brand in Poland like Colour Alike. These are one of my favourites and since yesterday every nailpolish addict around the world can try them out on her or his own! 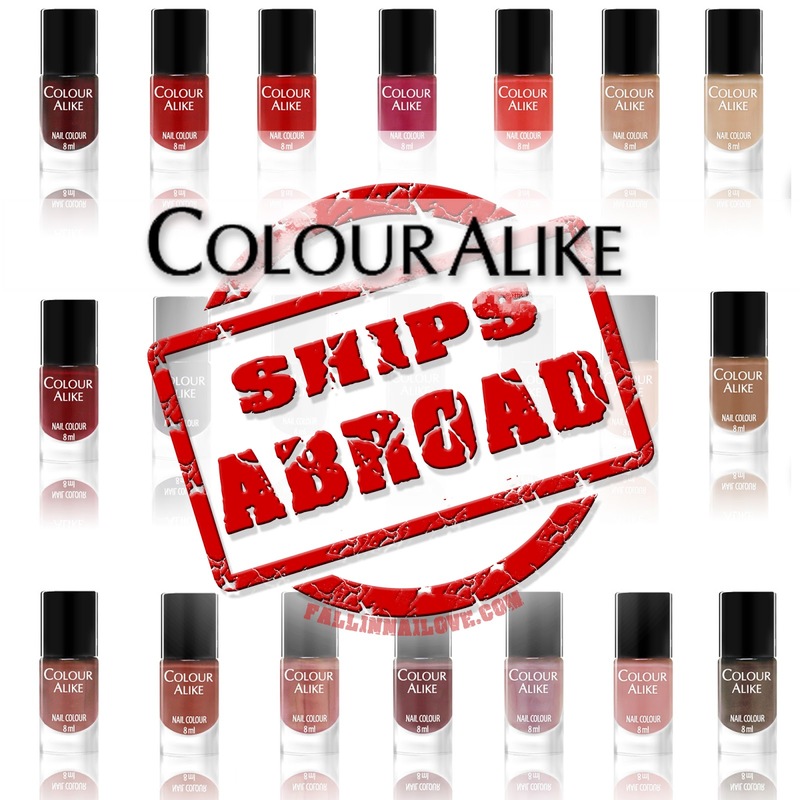 Yep, Colour Alike ships abroad! Sounds great, doesn't it? 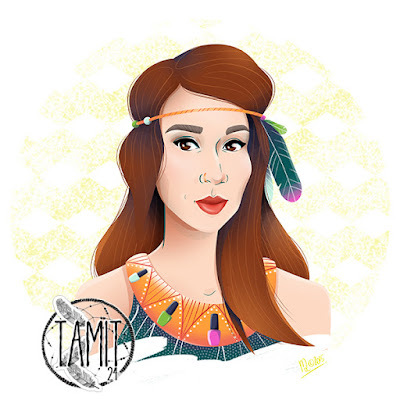 You can simply go at colouralike.com, register and feel free to do your shopping. The prices are really low, so the shipping cost is. You can easily browse the website with the various finish cattegories. If any problems met while taking your order, don't hestitate to contact Colour Alike on facebook or just get in touch with me on any social media account I run. We all will try our best to give you a hand! I think that Colour Alike is the most popular nailpolish brand in Poland of last few years and every day makes a step forward. I really appreciate the fact that CA keeps in touch with the bloggers and all the customers: every collection is named by the fans on facebook! What's more, you should follow colorowo on facebook not to miss any special offer or discount that appears very, very often. Go straight at colouralike.com to find more interesting shades! This is what I call "great new" !!! why can't i choose paypal at the payments? it is only offered me to pay by bank transfer. Sadly, PayPal payments aren't available yet. They will be activated soon!